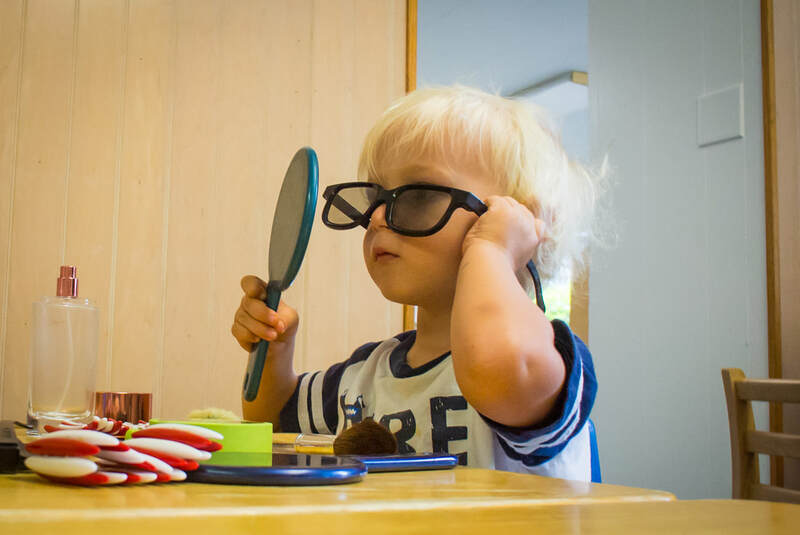 SENSORY & PERCEPTUAL: The young child absorbs the world around him or her through the five senses. PHYSICAL & MOTOR: Along with the five senses, both fine and gross motor skills develop rapidly from three months to three years. Physical activity in the young child is an important part of environmental involvement. SELF-HELP SKILLS: The focus is on the child to enjoy independence. 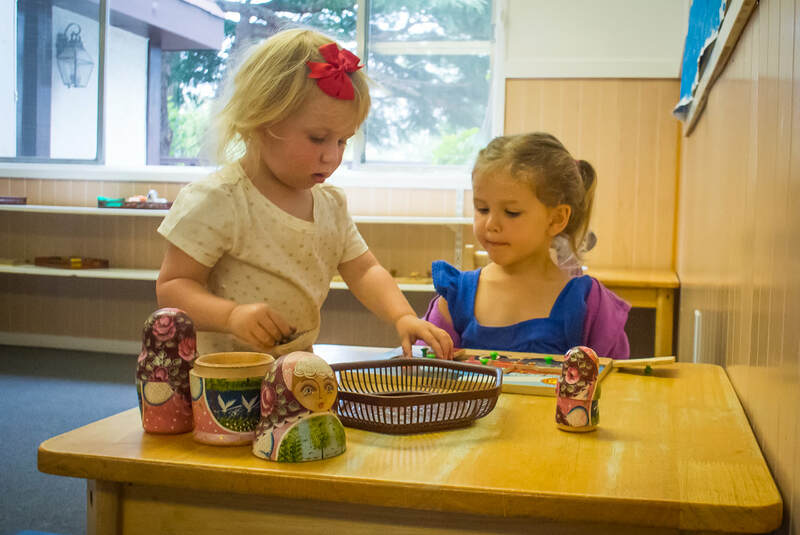 LANGUAGE: The construction of vocabulary is a part of every aspect of the classroom from snack time to manipulating a toy to group activities. SOCIAL & EMOTIONAL: A well-rounded and happy child, whose balanced development and happiness have been supported by responsive individual attention, reacts positively with the environment, copes with frustration and learns easily. Love and emotional nurturing are a healthy physical environment.